Three days after firing its controversial CEO Martin Shkreli, pharmaceutical company KaloBios has been booted from the Nasdaq stock exchange. Kalobios (KBIO) said the Nasdaq will make the move "based on allegations of securities fraud, among other things" involving Shkreli and Evan Greebel, the company's former outside counsel. Shkreli has denied the charges. The company said the suspension also is because it failed to file quarterly results for the third quarter of 2015. The company fired Shkreli following his arrest last week. 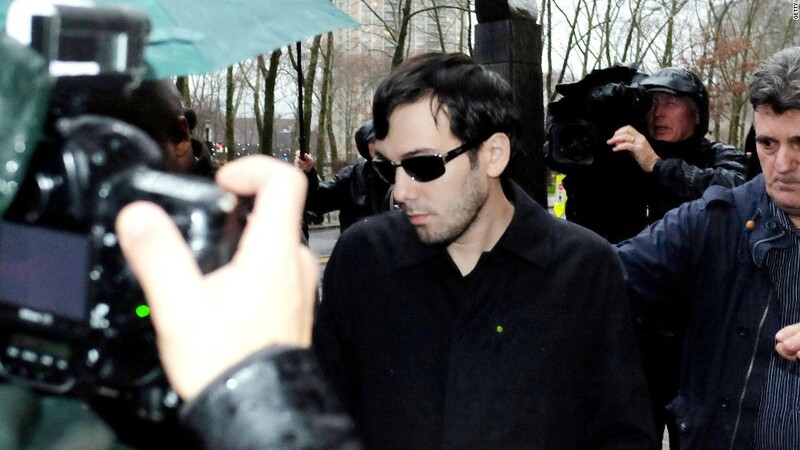 Shkreli is accused of misappropriating the funds of another drug company he used to run, called Retrophin. The shares were suspended on the day Shkreli was arrested, and they haven't traded since. The stock is set to be delisted from the Nasdaq on December 30. KaloBios hasn't yet decided whether to appeal the decision. KaloBios also announced in an SEC filing Wednesday that its interim chief financial officer and its outside accounting firm both resigned as of Monday. The company named Shkreli as CEO in November after he bought a majority stake. Shkreli paid at least $2.7 million for his 50% stake in KaloBios when the company was facing liquidation, according to company filings. Shkreli has said he was arrested because of the publicity surrounding his massive price hike of a drug owned by Turing Pharmaceuticals, another company that he used to run. He stepped down as CEO of Turing last week.